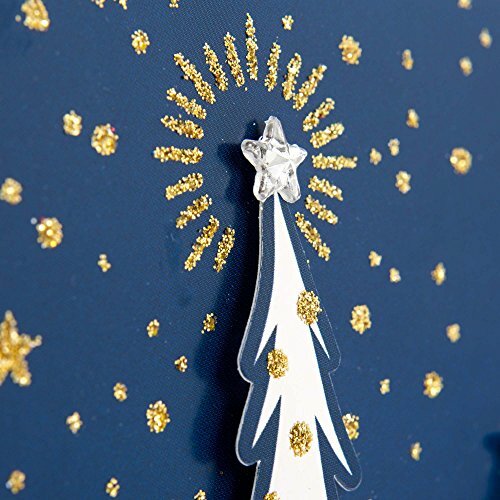 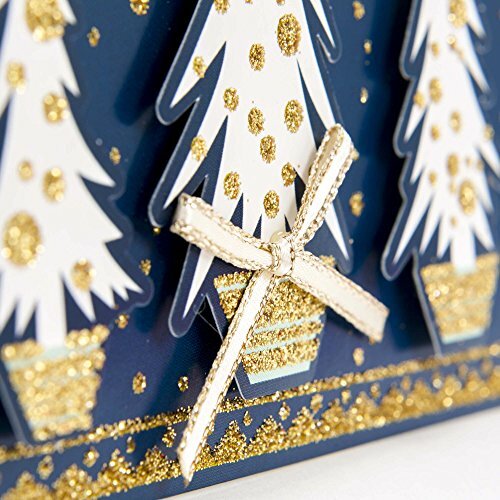 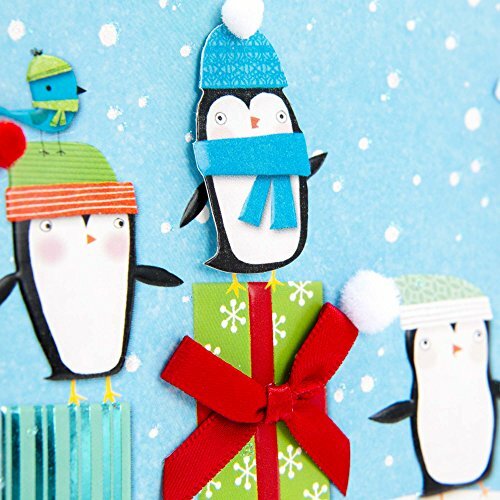 Boxed cards of individually crafted Christmas greetings that feature winter designs accented with hand-embellished attachments, metallic foils and glitter. 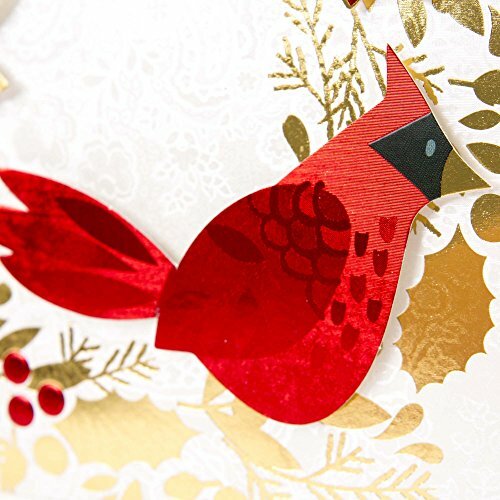 Printed on high quality paper stock. 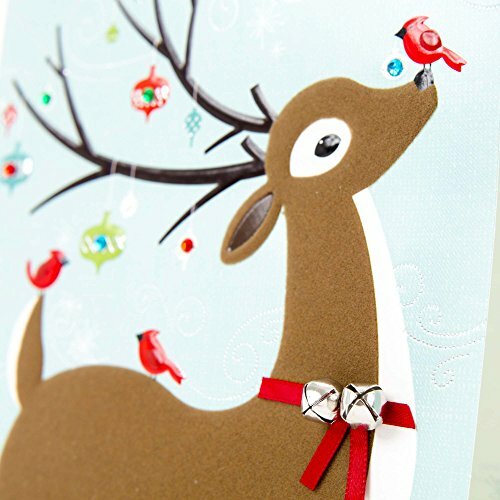 Hallmark cards are made with paper from well-managed forests. 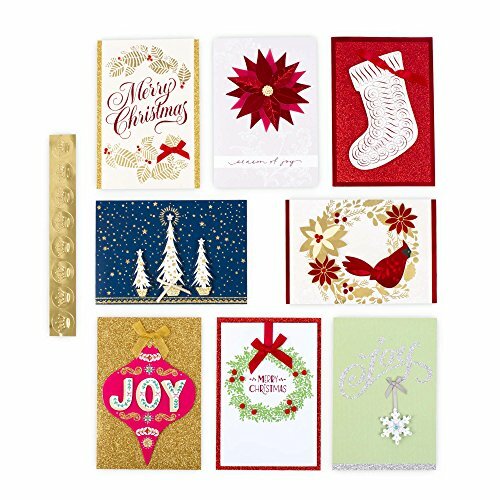 Included are Christmas greeting cards perfect for a wide range of relationships with warm holiday wishes. 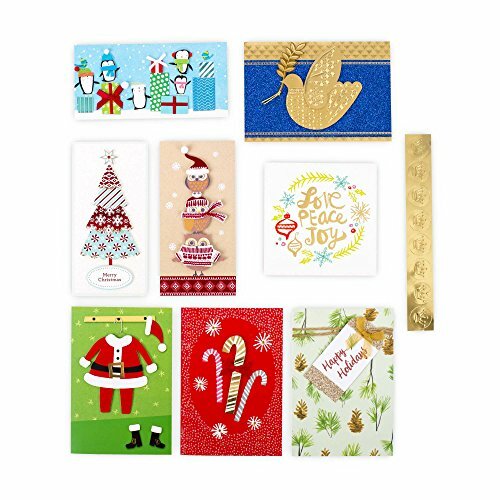 Prepare for holiday celebrations and Christmas card sending with this box set of individually wrapped greeting cards with coordinating envelopes, gold Hallmark seals, and a storage box. 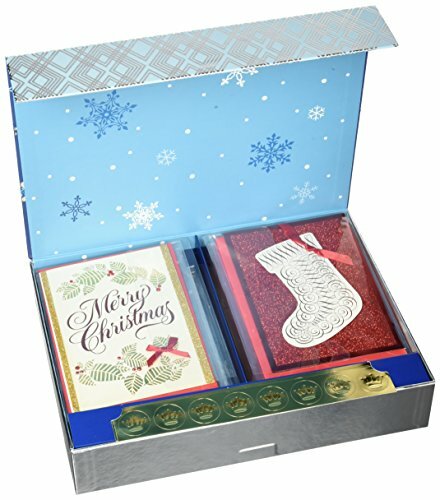 The boxed card set includes 24 greeting cards/24 envelopes. 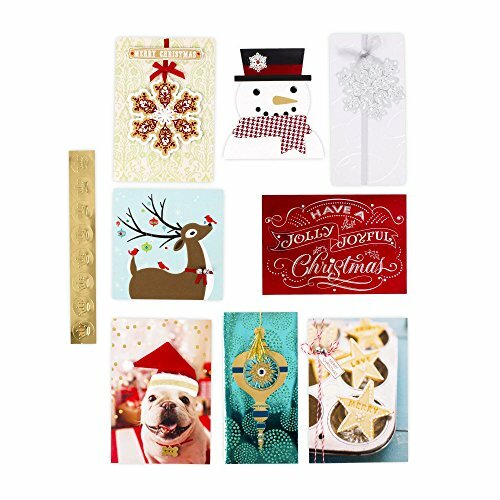 Card sizes vary. 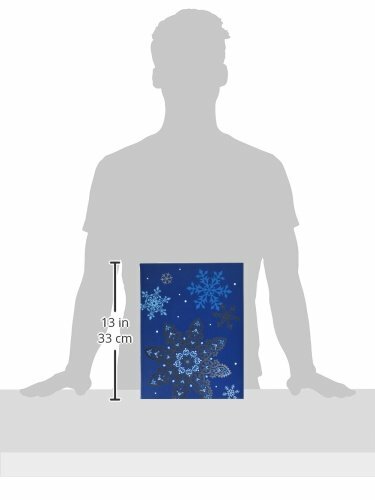 Storage box size: 12 inches wide by 9.25 inches long.